All the same great information, with a fresh new look! 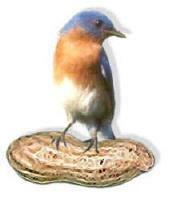 Bluebirdnut.com was launched in 2003 as a resource for Bluebird enthusiasts. In recent years, we’ve updated the look, expanded and clarified the information, added new features, and branched out to include a discussion forum, and two shopping sites with Bluebird-friendly merchandise and more. We’ve now re-designed the site again to make it more mobile-friendly. Please have a look around. We’ll be adding new pages and features as we go. Our focus here is on the Eastern Bluebird (Sialia sialis), simply because that is the species that inhabits our central NY State region. 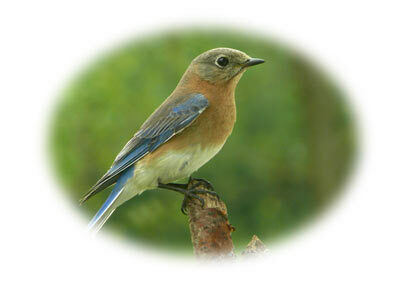 But we love all bluebirds, and are happy to hear from Mountain Bluebird and Western Bluebird enthusiasts as well! This website and the BluebirdNut Cafe Discussion Forum are supported by our sister site, TMB Studios. 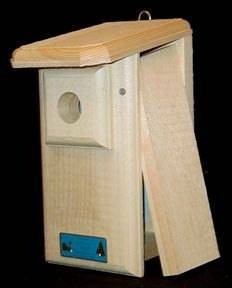 TMB Studios carries many useful and beautiful products for home and garden, as well as many of the helpful bluebird-related items referred to in our informational pages. 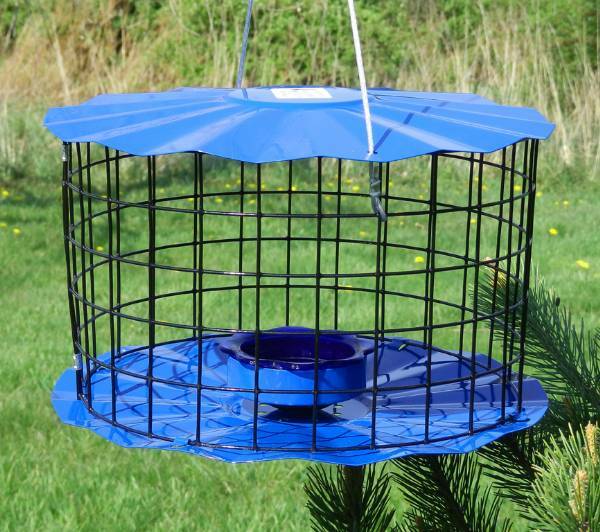 Here you can find the Bluebird Feeder designed by the creator of this website, as well as nestboxes, feeders, and predator and pest control products. Please consider shopping at TMB Studios to help keep this site up and running, and keep our BluebirdNut Cafe free of annoying and intrusive advertisements! Visit the Bluebird Nut Cafe Discussion Forum! The BluebirdNut Cafe Discussion forum has a new home here on Bluebirdnut.com. The information and discussions here are open for all to read. When you're ready, we invite you to register so that you may begin posting. Signup is quick, free and easy. Please read our Welcome thread before posting to see what our guidelines are, and have fun joining in the discussions! The old Bluebird Nut Cafe discussion forum is now closed to new topics or replies. However, there's a wealth of information contained there, as well as some much-loved discussions and photos. So - for the time being, at least - we will leave the old Yuku forum in place for reading only. We invite you to browse the old site, and then come back here to join in the active discussions. Please note that we are no longer supporting the old forum with contributions, so we cannot ensure that your experience there will be ad-free. 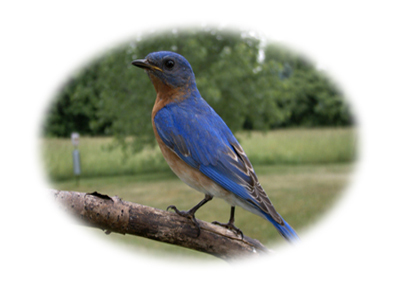 Although this site focuses mainly on the Eastern Bluebird (Sialia sialis), we do have a page dedicated to Mountain and Western Bluebirds. This is the little guy that started it all . . . the Original "Bluebird Nut".